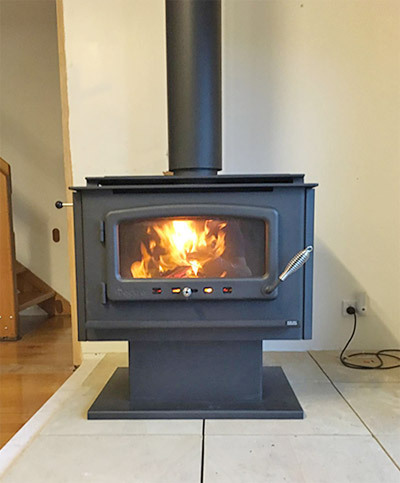 Prime Plumbing & Heating provides retail sales and installation of a wide range of wood heaters, serving all areas across Launceston and surrounds, from Deloraine to Georgetown, St. Helens to Campbelltown. There are a lot of Myths about wood heaters – this video help clarifies what’s a myth and what’s true. Available models designed for heating domestic hot water include Yunca, Pyroclassic, Nectre Bakers Oven, Nectre Mega, and Thermalux Gourmet, Thermalux Linea, Sophel and Christo. The new gourmet is a combination cooker-heater with a large cook top surface, huge glass front self cleaning oven with thermometer for accurate temperature control and a unique venting system which allows easy control of oven temperatures. The firebox is above the oven giving excellent hotplate temperatures and reducing the amount of bending when refueling. The Gourmet is as much at home in the family or living room as in the kitchen where its dual purpose makes it a cost efficient option. An optional hot water jacket (wet back) to provide piping hot water for all the families needs and save on hot water bills, and also an optional splash back are available for the gourmet. Nectre is manufactured in South Australia. Inbuilt and freestanding models are available, mild steel construction with cast iron doors. 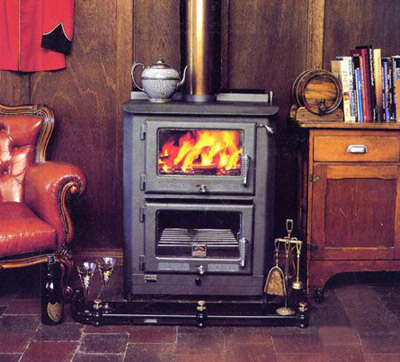 This is a unique combination of a heater and an oven, with style from a bygone era. The Nectre Baker’s Oven will cook everything from crispy, fresh bread to succulent juicy roasts. The cook top takes four large saucepans or pots, and two removable rings make it ideal for wok cooking. And, while it’s cooking it spreads cosy warmth through your kitchen or living areas. Firebricks – Increase thermal mass, stabilise temperatures and protect the firebox. Ash lip – All Nectres have an ash lip below the door to prevent hot coals dropping onto the floor. Smoke Shelf (baffle plate) – Easily removed for flue cleaning and replacement. Secondary combustion – This gives more efficient burning and reduces level of emissions therefore reducing pollution. Nothing challenges a wood heater like modern open plan living. 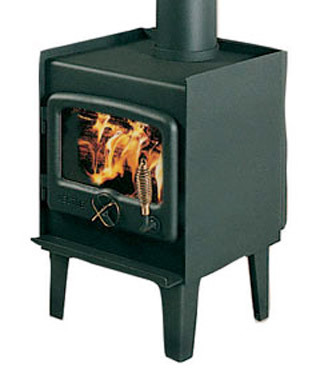 But it’s hardly a challenge for our newest heater, aptly named, Mega. We designed the Mega with modern living in mind. It produces a shopping 35kw (120,000 btu) of heat making it Australia’s most powerful freestanding heater capable of turning 40 squares of open space into a warm, comfortable living area. Powerful yes, but the Mega is certainly no brute when it comes to looks. The contoured door gives the Mega a soft appearance and opens wide to accept large logs. You can even harness some of the Mega’s power to heat your water system by fitting the optional water jacket. Optional fans, for all models (except Baker’s Oven). The perfect Nectre for a home with an existing fireplace. 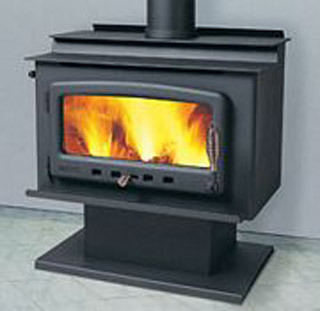 It produces 16kw (56,000 btu) – that’s around 250% more heat than an open fire. And it uses loads less wood. The fire box maximises convected warm air, and circulates it through your whole home. Ideal for homes of around 15 squares (140 square metres). You’ll love the warmth and style of this powerful but compact little heater. 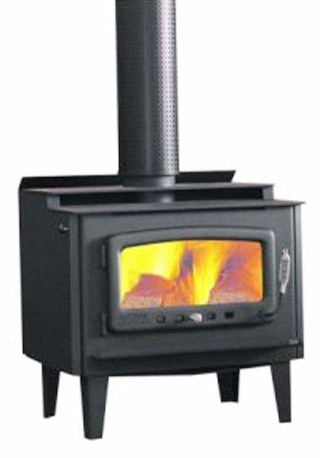 The Nectre 15 produces a remarkable 12kw (45,000 btu’s) average heat output. 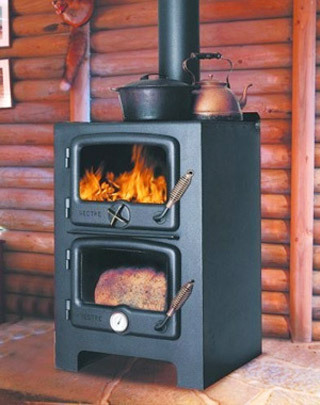 That’s sufficient to effectively heat around 15 squares of any suburban home or country cottage and yet it is small enough to fit almost anywhere. Let winter do it’s worst, you’ll be warm and content with Nectre 15. 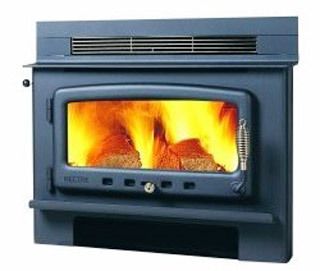 Choose the Mkl and you will join the many Australians living warm and cosy with the original Nectre, one of the most popular slow combustion heaters ever made. And no wonder, with an average output of 19.5 kw (70,000 btu), it will heat open areas in excess of 20 squares, providing warmth to families on the coldest days and nights. The Mkl has a wide opening door that provides easy access and has gently contoured lines so it is pleasant to look at, even without a brilliant, living fire burning inside. No wonder the Mkl is a fire Australians have always been comfortable with. Mkll has the same simple but elegant lines of all Nectres but is double cased so it can be installed very close to walls or furniture. The double casing also maximises air convection and shifts heated air around your home with great effectiveness. An average output of 21kw (75,000 btu) makes the Mkll the perfect heater for homes that are hard to heat and where installation is tight. You and your family will live in comfort for years to come. Please contact us to learn more or to discuss your requirements.